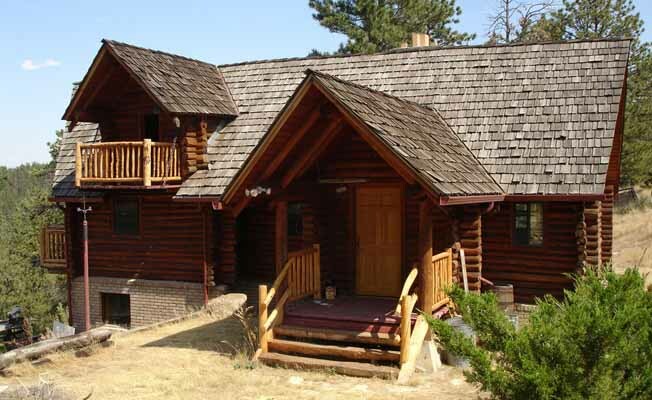 There is no better way to make your Montana vacation complete than by lodging in and enjoying a secluded, authentic hand made log cabin. This cabin has been a 30 year labor of love by a carpenter who designed it, cut and stripped over 180 lodgepole pine trees, and set in excess of 390 separate logs to create this beautiful log structure, unlike any you may have seen. From the hand built cabinetry, the masonry work, the hardwood and quarry tile floors, the handrailings, to the one-of-a-kind log spiral staircase, the craftsmanship is apparent and admirable. The cabin has been decorated and tastefully outfitted with antiques to create a truly 'turn of the century' ambiance and is situated on the edge a Ponderosa pine forest, full of deer and wild turkeys; it is honestly a joy to hike through the forest and explore. There is even a small 'trappers' cabin nearby where the craftsman practiced to lay logs, in 1976. Privacy and seclusion is assured, as no other structure can be seen from the cabin and it is at the end of a 300 yard private driveway. Picture yourself sitting on the back balcony with a drink in hand, reflecting on your long day of either fishing or floating, grilling steaks (or your fresh catch) as the sun goes down and observe the deer head back into the woods; after dinner the stars glow brightly in the crystal clear air and the constellations dance across the sky. This is the way to really relax and experience, Montana Style.